Made to our specifications, this can be used on UK and German built Besson and York Baritone horns. 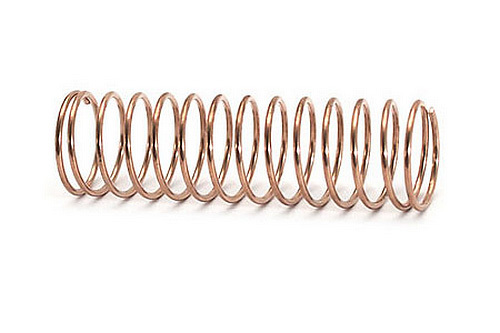 This is the heavier spring as used on the earlier UK built Besson Sovereign baritone horns. Heavy tension springs bought to replace lighter tension springs for my Besson Baritone, they are great. they're quiet and responsive and not over priced. The Swanee whistles are excellent value and work really well. After buying something more expensive elsewhere I took a chance on these but am really pleased with them. The music stand pencil clips work fine. They only fit on the lower section of a standard music stand, but still useful and not expensive.